Hailed by critics as an American masterpiece, David McCullough's sweeping biography of Harry S Truman captured the heart of the nation. The life and times of the thirty-third President of the United States, Truman provides a deeply moving look at an extraordinary, singular American.From Truman's small-town, turn-of-the-century boyhood and his transforming experience in the face of war in 1918, to his political beginnings in the powerful Pendergast machine and his rapid rise to prominence in the U.S. Senate, McCullough shows a man of uncommon vitality and strength of character. 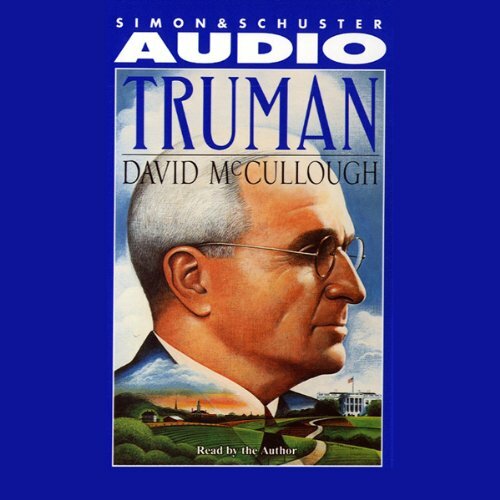 Here too is a telling account of Truman's momentous decision to use the atomic bomb and the weighty responsibilities that he was forced to confront on the dawning of a new age.Distinguished historian and Pulitzer Prize-winning author David McCullough tells one of the greatest American stories in this stirring audio adaptation of Truman - a compelling, classic portrait of a life that shaped history.